When we think of Spring, we often imagine new beginnings in the form of buds on trees, sprouts coming up through the earth and wildlife in abundance. 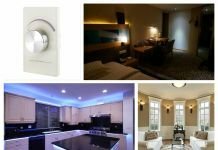 Two 2017 interior trends evoke fresh new beginnings in particular. They are Pantone’s color of the year, Greenery, and butterflies. These two trends work well together for a fresh design duo. Spring awakens in us a desire to refresh and renew. A great way to do that is to start with a new palette. Why not try out Greenery accented with yellow in your interiors for a look that is vibrant and springtime-inspired? Pantone’s color selection for 2017 can be successfully accented with yellow, turquoise or coral for a brighter look. 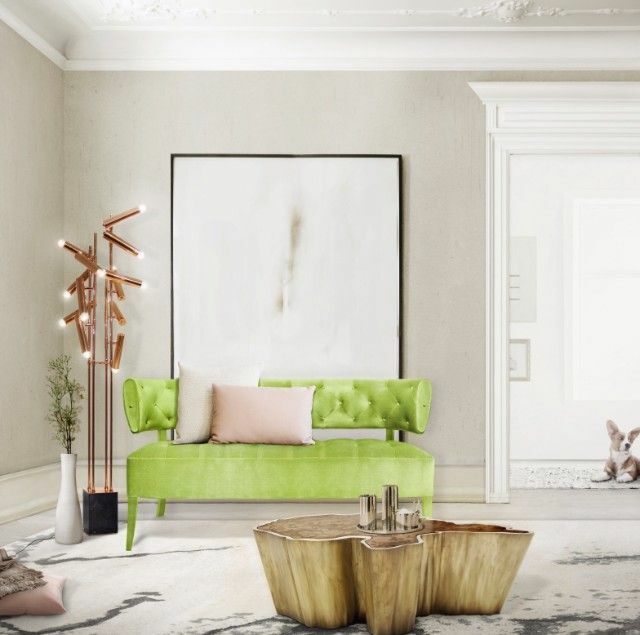 Small pops of Greenery in a neutral design provide a pleasant burst of color and add freshness to a scheme. 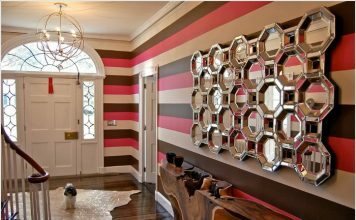 This works well for those that may be intimidated to work with such a bold color. Adding pillows, pottery and even fresh flowers gives neutral rooms a taste of spice. 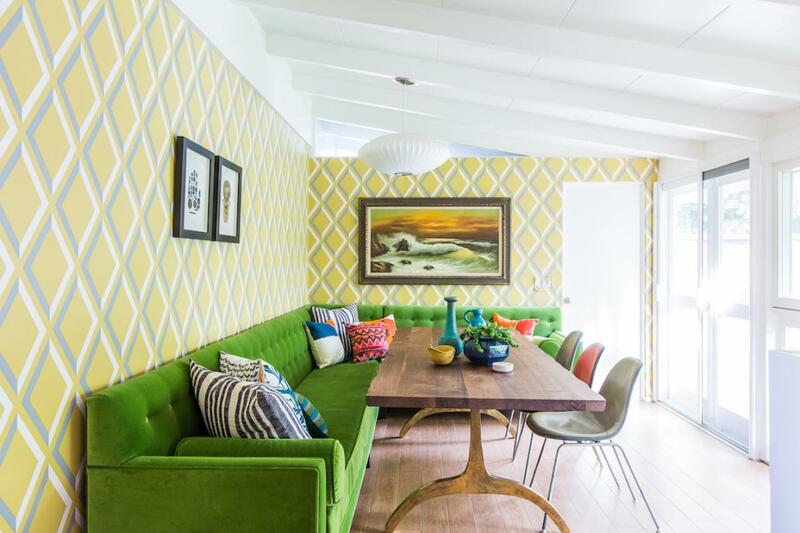 To create a statement, go for a bold choice in fabric on a sofa or chair. 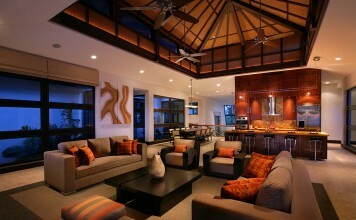 Use softer colors to balance the more vivid shade for a harmonious interior that is of-the-moment but always timeless. 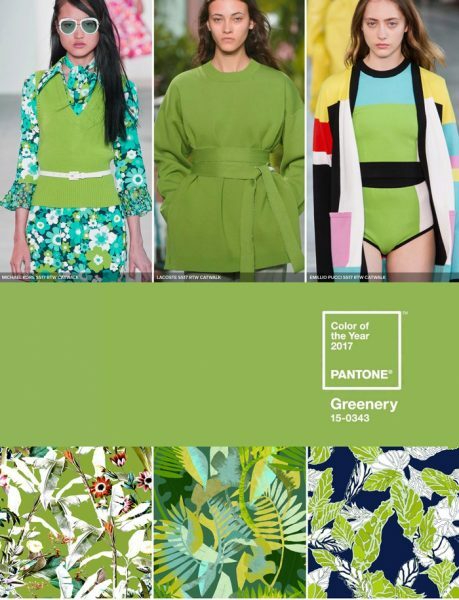 Pair Greenery with black and white or gray for a sophisticated take on this lively trend. 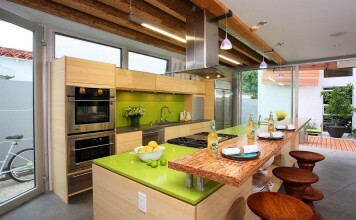 The lush green window panels fall to the floor and soften the graphic design of the walls. Green upholstery frames the beautiful gray dining table and sets the scene for enjoyable dinners. 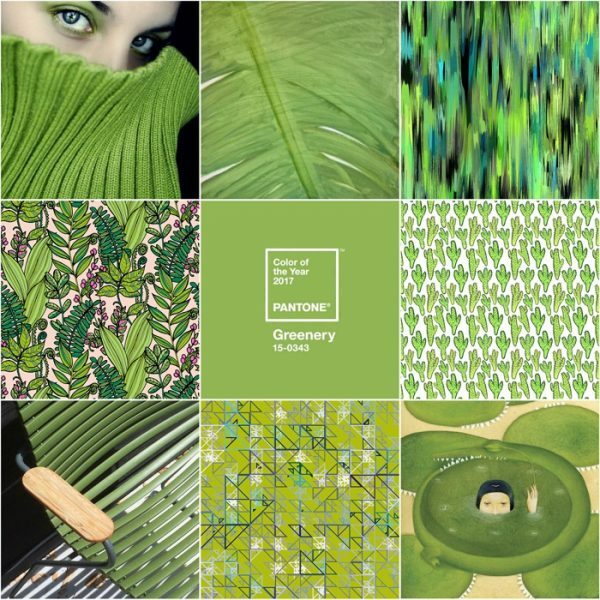 As far as 2017 interior trends go, Pantone’s selection of Greenery is a springtime winner that enhances interiors. Seen on the runway and in the home, this trend is one that is fresh and sparks the imagination for new beginnings. Take a cue from the fabrics below to see how versatile this color really is. Mix it with other colors for a truly spring-like freshness or tame it with neutrals. 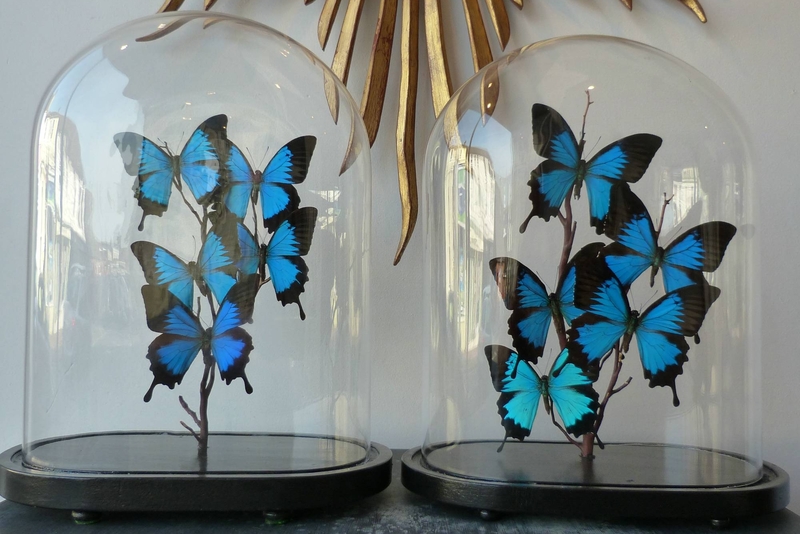 Butterflies reflect rebirth and delicate beauty. Bringing these fanciful creatures into the home via fabrics, wallpaper, pictures and decorative objects adds a natural element to interiors. 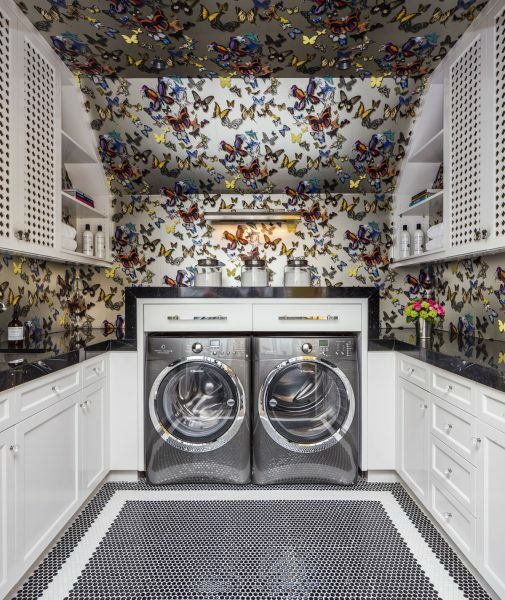 Butterflies add freshness and life to interiors. 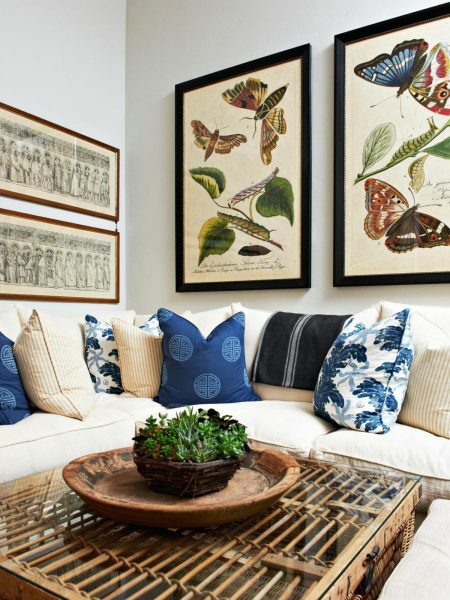 A whimsical butterfly print covers an ottoman and simply framed prints add visual interest and color to a living room. Incorporating a vividly patterned wallpaper in a smaller room, such as a powder room or laundry room, can take some of the fear from working with prints. 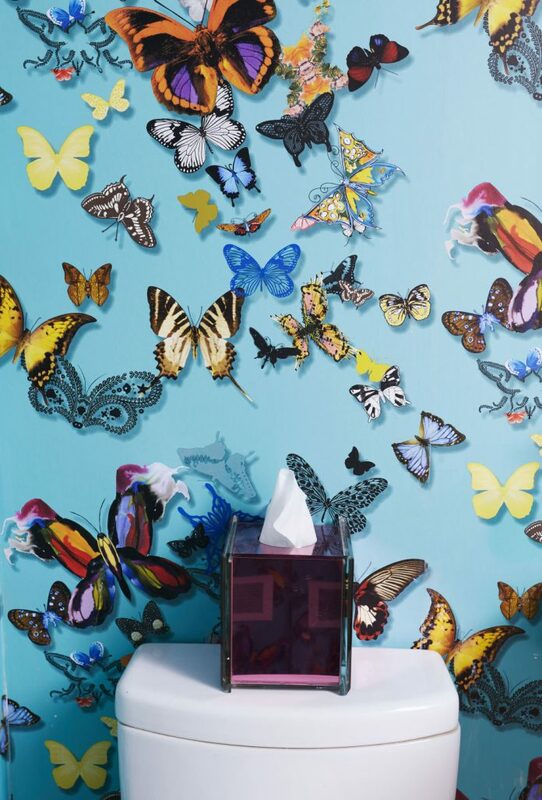 Butterflies alighting upon the walls give any room a fresh and whimsical appeal. 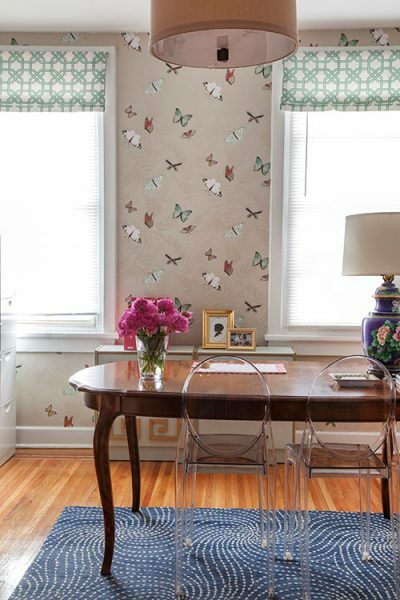 A set of butterfly prints set off a wall to create a dynamic focal point. 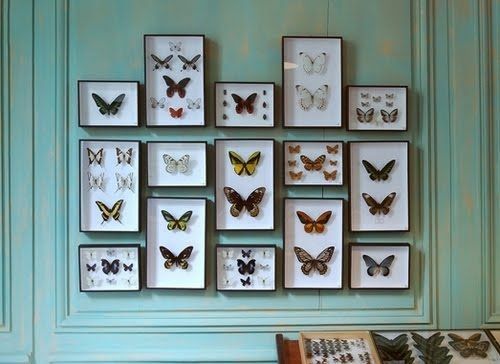 Different species of these fluttery insects mix to create a truly beautiful collection for the wall to enhance a space. 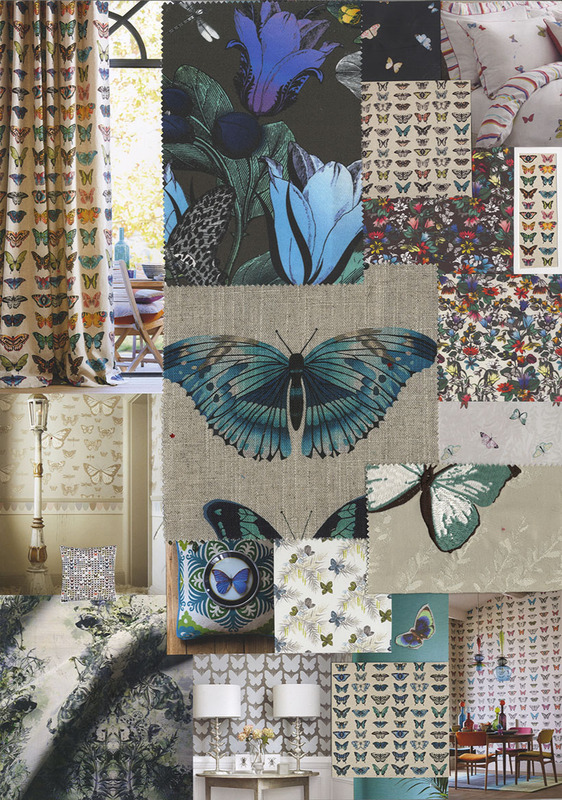 Botanical butterfly prints illustrate the beauty and natural artistry of these creatures. Incorporating botanical prints into your décor is a unique and refreshing accent. The butterfly trend extends to decorative accents such as cloche domes displaying artificial specimens. 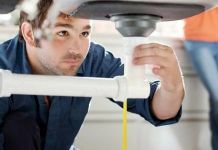 These can be an unexpected element in your decorating scheme. What a better way to welcome spring than with fresh Greenery and butterflies. 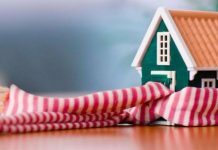 These 2017 design trends can be incorporated in small does or can make a major impact to your design. Whether freshening up an existing design, or infusing new life into a brand new space, Greenery and butterflies deliver on new beginnings.